HTTP vs HTTPS – Which protocol is the weakest in terms of security? You have probably noticed that when you access websites that require some level of security such as Facebook, email services and online banking, a padlock icon appears in the browser location bar. This indicates that the website has https certificate and that it uses secure encryption that provides an additional layer of security on top of the regular HTTP that is used for most sites. With HTTPS connection, the data between the server and your browser is protected with encryption to defend your data against possible attacks. Thanks to this security, your information is not accessible to those who may try to intercept your connection. What happens when HTTPS is not in use? Without HTTPS your data is more likely to be compromised. This is because websites that don’t use HTTPS don’t encrypt their data, meaning that any information that is entered in these sites can be intercepted. This doesn’t mean that it is not possible to use non-HTTP websites, after all, you may still find many sites that don’t use HTTPS. What you can do to secure your connection is to use a VPN to protect your connection from attackers. 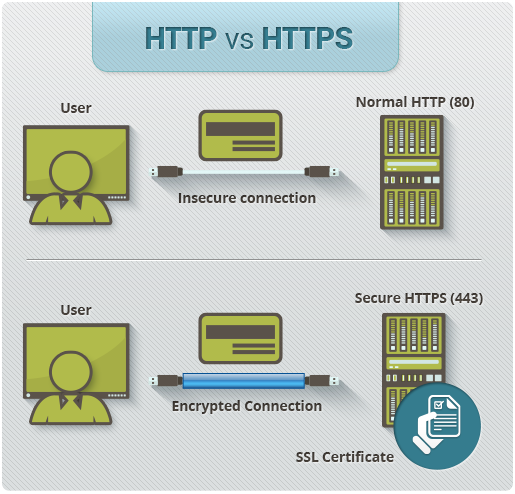 What sets HTTP and HTTPS apart is the way in which they handle the security of your data. HTTP is a protocol that established the passage between web servers and clients. The information is transferred to and from the servers and browsers using http. What makes HTTPS more secure is the extra layer of protection that it applies. There is a reason why there is an S in HTTPS, it stands for Secure. It is possible to determine if a website uses HTTPS, meaning that it adds encryption, by checking the browser bar. You will see that the URL bar starts with https when the connection is secure. If the URL bar only shows http then the connection is not protected. Taking a look at the URL bar will allow you to find out if the web server and your web browser are using a non-encrypted protocol, meaning that they may not be secure. Anyone can potentially intercept your activity on that website. Hackers will be able to monitor your activities and they could even see your passwords and all the data that you enter on these sites. This is why you need to be extra careful when you enter your financial information or personal details when using an HTTP website. The secure connection that an HTTPS website offers will keep your data protected thanks to a code that prevents others from accessing the data. This is something important to keep in mind as it will help you to avoid becoming a victim of cyber crime. 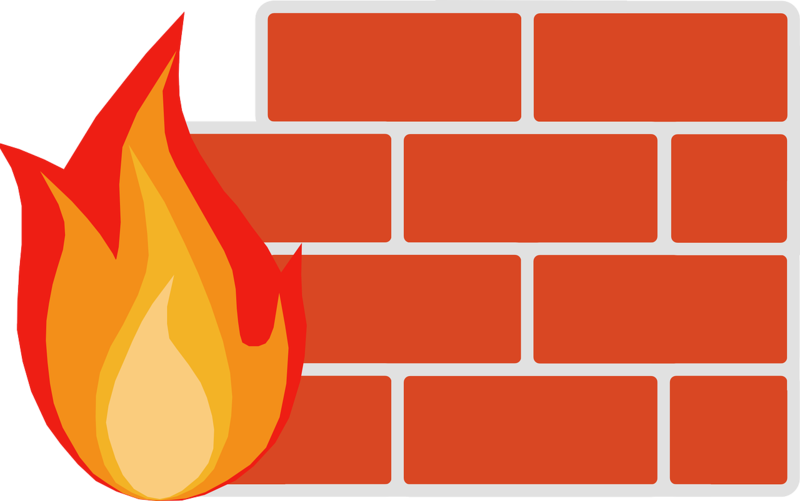 What happens when you access an HTTP website without using a VPN? If you visit a website that is not encrypted and don’t use a VPN service, you would be exposing yourself to many security risks. Anyone who intercepts your data may be able to see your ISP, server’s ISP, local WiFi operator, intermediates between server’s ISP and your ISP and other information. If somebody manages to intercept your connection, they will be able to see the data that is entered on the non-HTTP website. Although this doesn’t mean that HTTPS websites are completely sage, they offer a higher standard of protection that HTTP sites don’t provide. Using a VPN allows you to conceal your identity and location, keeping your anonymity protected. However, it is not possible to hide your identity through the information that is transmitted via email addresses, names and computer details. Intelligence government agencies from all over the world spy on internet traffic with the help of advanced technology. If you are not using a VPN service, your data is vulnerable and can be easily intercepted. WiFi operators can get access to all your data and if you visit an HTTP website, your local network operator will be able to see what you are doing online. In a malicious network, your malware code may be installed and you could be tricked into downloading software that will compromise your data. Malicious software may come in the shape of ads that seem harmless. Not all WiFi operators add malicious software intentionally of course, but if the router is infected with malware, it can spread automatically to your device. In addition, the WiFi must be WPA2 configured with advanced encryption standards. If you access a public WiFi, there is a risk that hackers will try to steal your information. This is why it is important to protect your connection, particularly when you use public WiFi hotspots. 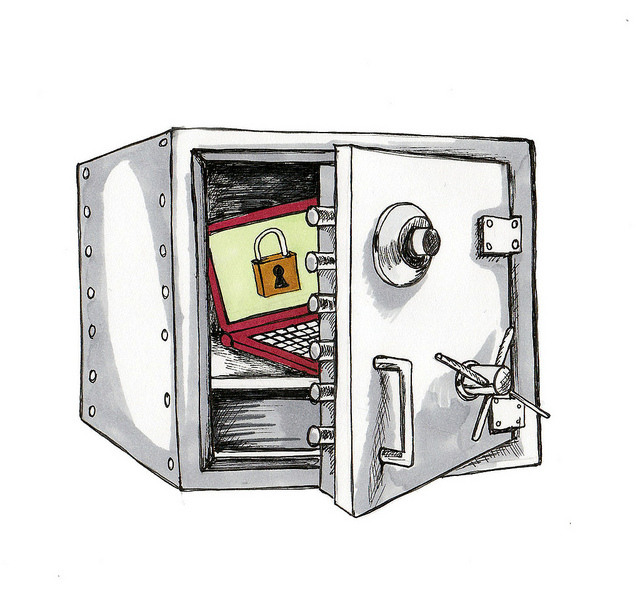 A VPN will allow you to keep your data secure, even when you are using public WiFi hotspots. When you use a VPN, a secure tunnel is established to direct your data, keeping your information private and protected from eavesdroppers. Your personal information, the websites you visit, your conversations and everything else you do online will be safe from those who may want to check what you are up to. There are many VPN services available, but we recommend ExpressVPN, NordVPN, VyprVPN, IPVanish and Private Internet Access due to the high level of security that they offer, their good speeds, advanced feature and overall great performance.